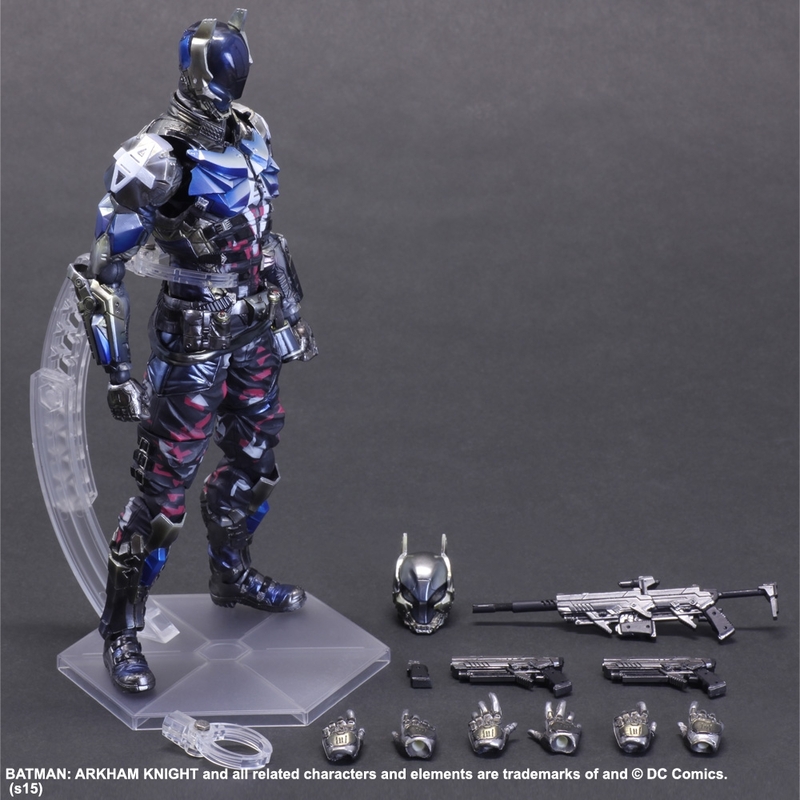 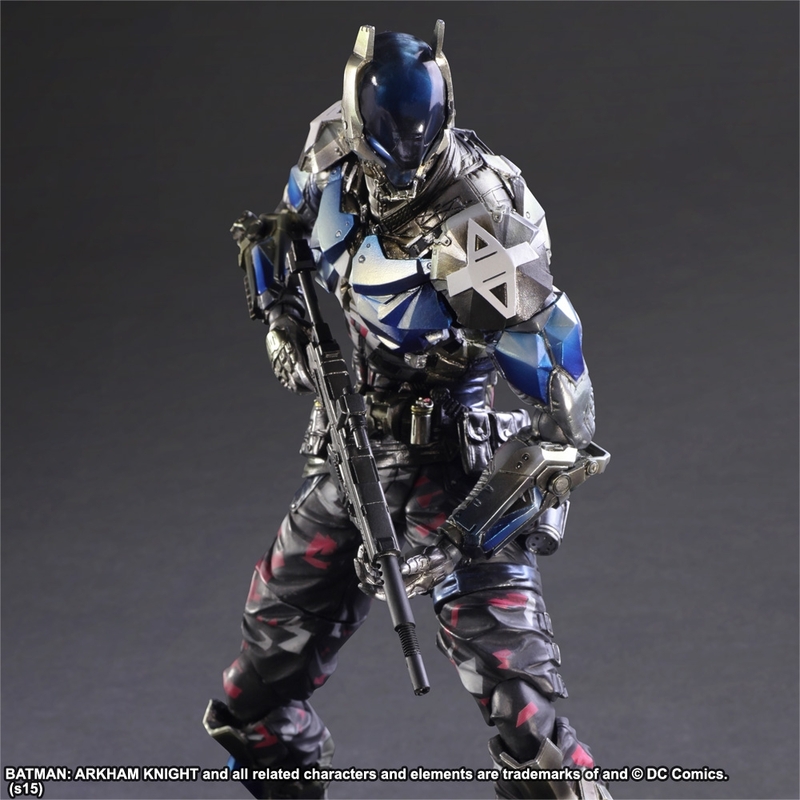 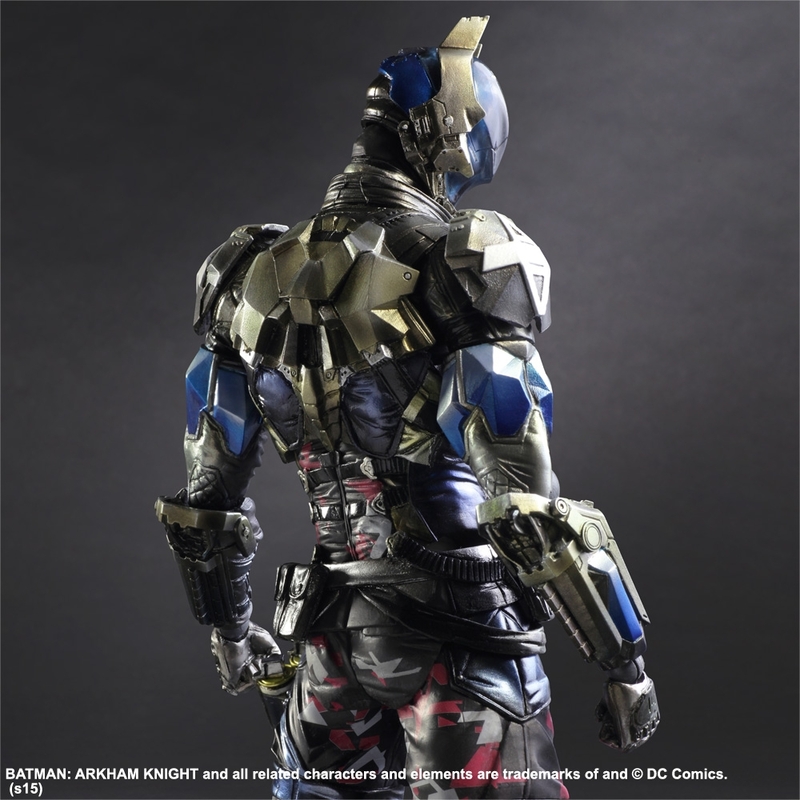 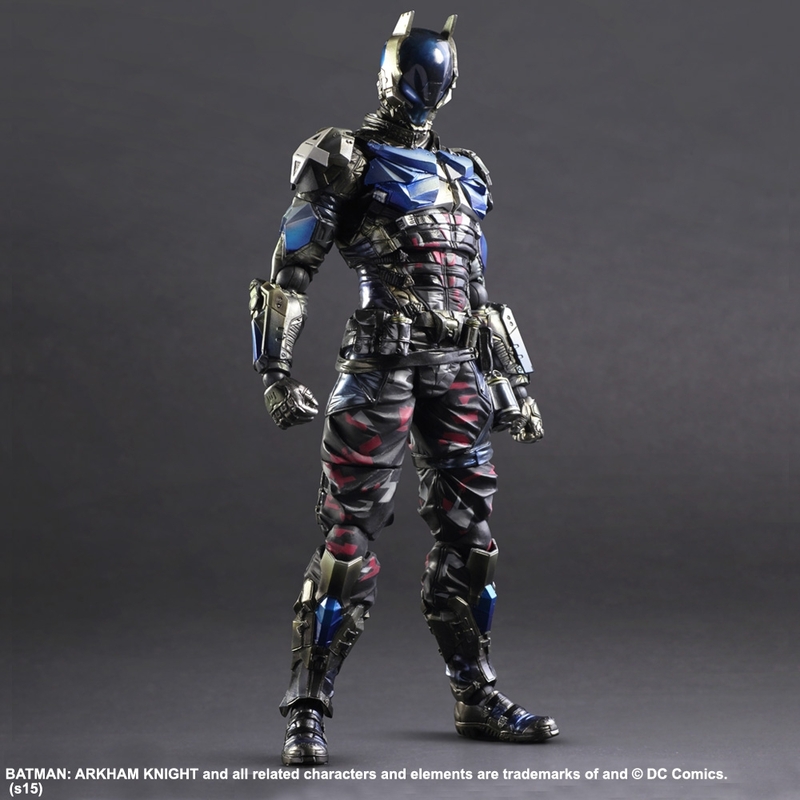 The BATMAN: ARKHAM KNIGHT PLAY ARTS -KAI- ARKHAM KNIGHT figurine features a symbolic letter “A” emblazoned on its chest, mechanical armor, and army fatigues – showing off a wide range of different realistic textures – with special attention paid to keeping a sharp silhouette all around true to the design from the BATMAN™: ARKHAM KNIGHT video game. 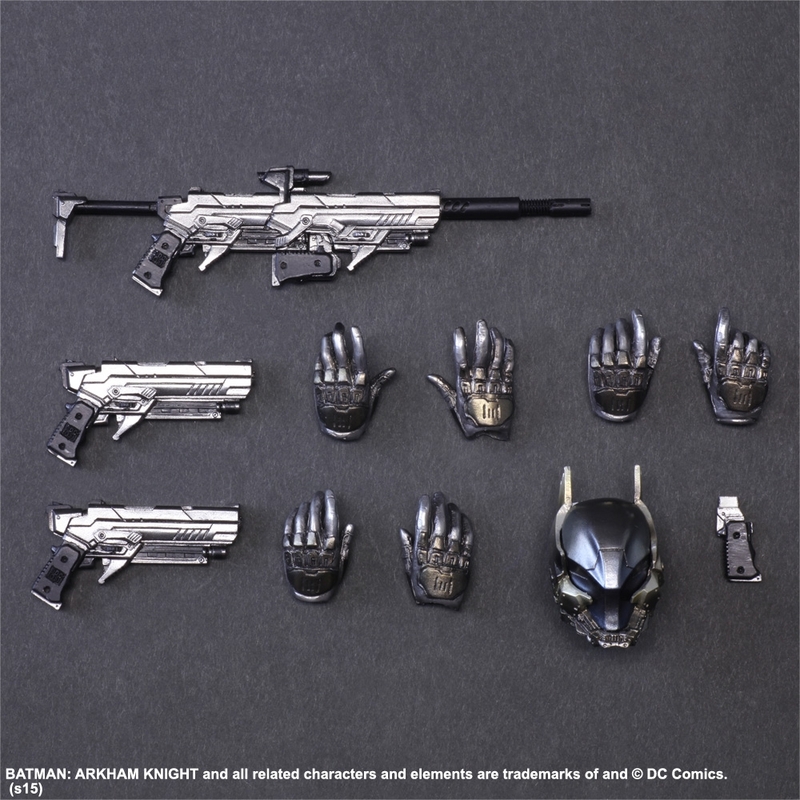 The exclusive New York Comic Con 2015 limited color edition highlights the fine details with metallic paintwork in bright and burnished silver. 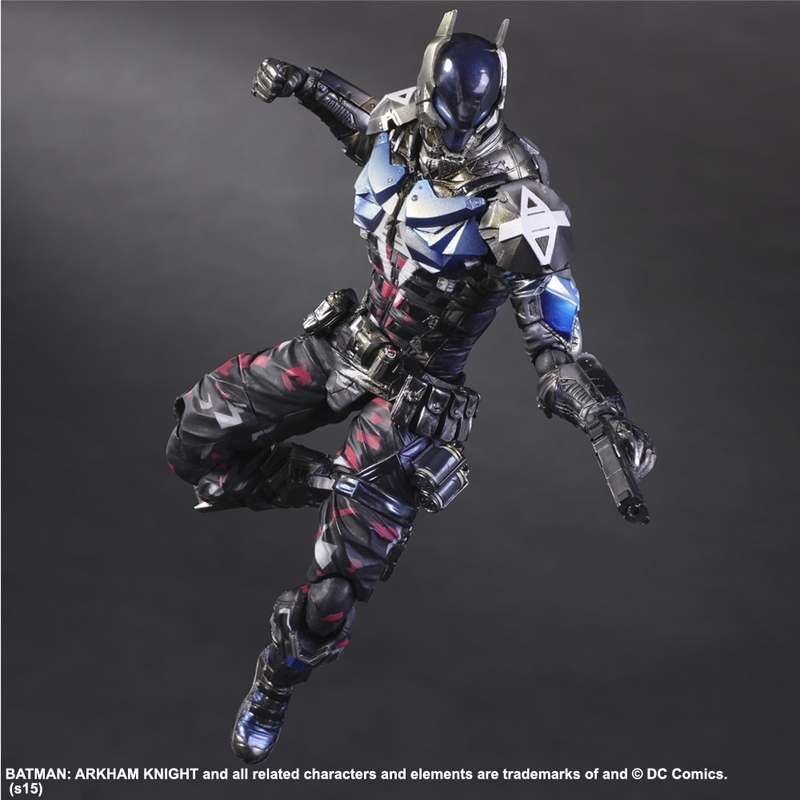 The BATMAN: ARKHAM KNIGHT figurine will be available for purchase at the Square Enix booth (#1604) and is also available for pre-order at the Square Enix Online Store for $99.